This is the upgrade project from Google with their native Android Go operating system. We can say this is the first project between Alcatel company with Google to develop low end smartphone with of course Google standardization. Please note, we are not said that ALCATEL 1X (Android Go) is totally bad, but we will try to give more information about this phone from our point of view. As the first time Android Go release in the market, this phone design for entry level users who want to use Android with low price but have optimized features. The LCD screen width is 5.3 inches. Don’t expect to have Full HD screen or HD resolution, because it is only have 480 x 960 pixels resolutions. But goodness of the screen already use 18:9 aspect ratio. Users will feel like having high end smartphone, at least for the screen ratio. This phone made from plastic with round corner shape. We will not get any hardware button at front body like other smartphone or mid end Samsung smartphone, but all navigation use soft button. We can find volume and power button together at right side of the body. At the top front, we will see front camera with 5 megapixel and the advantages of this phone have LED light flash for front and rear camera. Some users need to have fingerprint, but unfortunately cons of ALCATEL 1X (Android Go) does not have fingerprint sensor. Although ALCATEL 1X (Android Go) is build for cheap price smartphone, but the internal memory already use 16 GB storage with 1 GB RAM. Yes, we are agree for disadvantages of limited 1 GB RAM, but Google promise to make 1 GB RAM at their Android Go smartphone will have optimized performance. ALCATEL 1X (Android Go) already use Android Oreo as factory default operating system but it is Go Edition, this version is created for entry level smartphone but optimized with reimagined apps, therefore we can use low end specifications smartphone with full featured of Android. We can said that Android Go is the light version of standard Android. This version have their own Android Go applications from Google Play Store and of course the file size is smaller for each applications. Not all smartphone can work with Android Go applications. The Android Go first time introduced at ALCATEL 1X (Android Go). The camera of ALCATEL 1X (Android Go) use 8 megapixel for main camera at back side of body, it can interpolated until 13 megapixel. The front camera use 5 megapixel which can interpolated until 8 megapixel. The front camera and back side camera have LED light flash like mid end smartphone, it will help this phone take more bright images when taking pictures at low light situations. LED light flash is very important because demerits of ALCATEL 1X (Android Go) camera aperture number only have f/2.0 at rear camera. ALCATEL 1X (Android Go) can record video maximum 1080p at rear camera and 720p for front camera. The advantages of ALCATEL 1X (Android Go) camera can work with Social square, so we can see together the photo result at LCD screen together with camera sensor that open and ready to capture. This is similar with picture in picture features. ALCATEL 1X (Android Go) also have Photo Booth features, it can take 4 pictures continuously at 3 seconds moment. This Photo Booth result (4 pcitures at one frame) can be share directly to other applications or social media. 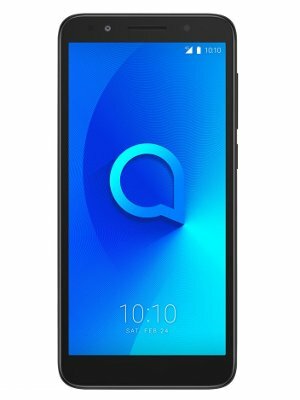 Is ALCATEL 1X (Android Go) Worth To Buy ? This is low end device for entry level Android users. Please do not expect to much with performance and features of ALCATEL 1X (Android Go). If we don’t have any high end expectations, then this €100 smartphone price is recommended to buy, moreover Google take care a lot for Android Go Editions operating system at this smartphone. This article is talking about Android oreo go edtion disadvantage, demerits of adroid go. You can find other topic at our related post bellow. What is Disadvantages of SONY XPERIA Z1 HONAMI Good or Bad to Buy?